ARE THE RED DOTS ON MY SKIN CAUSE FOR CONCERN? 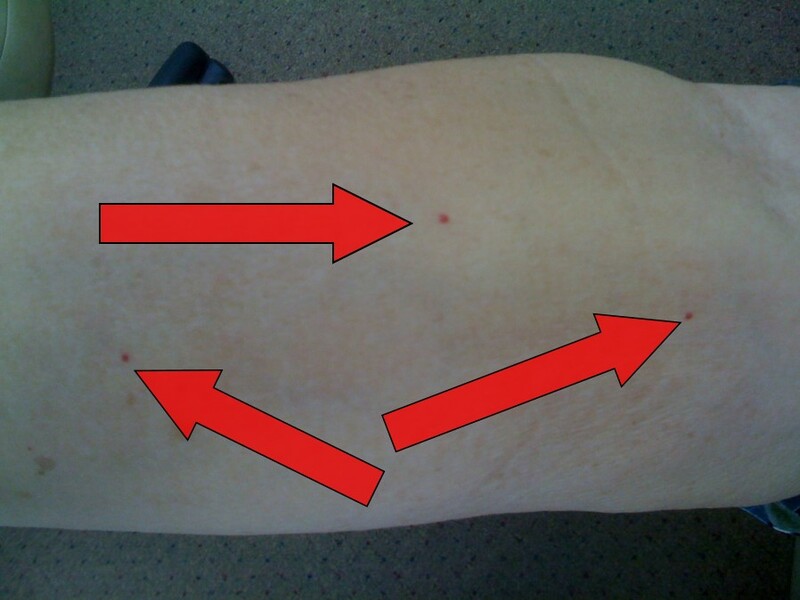 Little red dots on the skin are called Cherry Angiomas or Petichia. In and of themselves they are not harmful, but what they tell about your body is a very different story… There are two pathway’s in the liver associated with this problem. When one of them does not function properly, then a person ends up with high homocysteine. Homocysteine levels above 11.4 are dangerous. In fact the further above, not only does one’s cardiovascular risk increase, but the likelihood of a cardiovascular accident being fatal also increases. Yuck! Typically, the larger and/or more numerous the dots, the higher the likelihood that there is strong cardiovascular accident family history. A seminar attendee, where I was once teaching this had a large, raised, red mole sized red dot. Both her parents had died of heart attacks in their fifties. I find them to often show first in the sternal (cleavage) area. The chart to the left outlines the foods or nutrients that can make this pathway not function properly and the nutrients that can help it work right. When it works right, you live. Capish? Take the time to keep an eye on your spouses skin, regularly checking for these danger signs. If present, determine which of the above nutrients is missing in their diet and which of the offenders are being consumed and make appropriate changes while you still can.